Whether it is your sweet countenance, screwball personality, or complete disregard for protocol, an eternal child resides deep within you and she is your secret weapon. Consider the idyllic qualities that we associate with children—openness, playfulness, spontaneity, and sometimes mischievous, winsome charm. Children lack the pretention and defenses that adults erect as armor over time. The gamine manages to maintain her youthful charm in spite of the sobering nature of adulthood. While rarely as guileless and naive as they seem, gamines possess an air of eternal efferevesene, even as they mature into seasoned wise women. She lowers defenses, possibly with with humor, precociousness, or intrigue, and she elevates our moods, naturally drawing out the paternal aspects in a man’s personality. 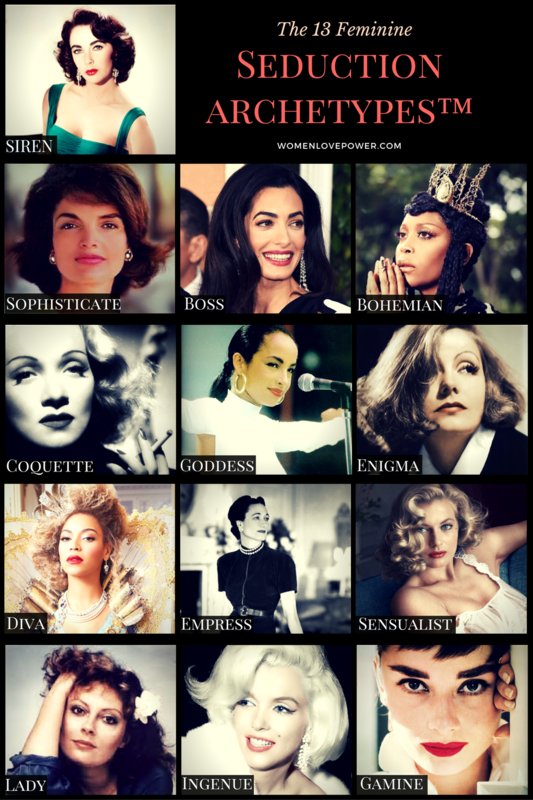 The “gamine” woman is dominated by the maiden psychological archetype and that presents a unique challenge. 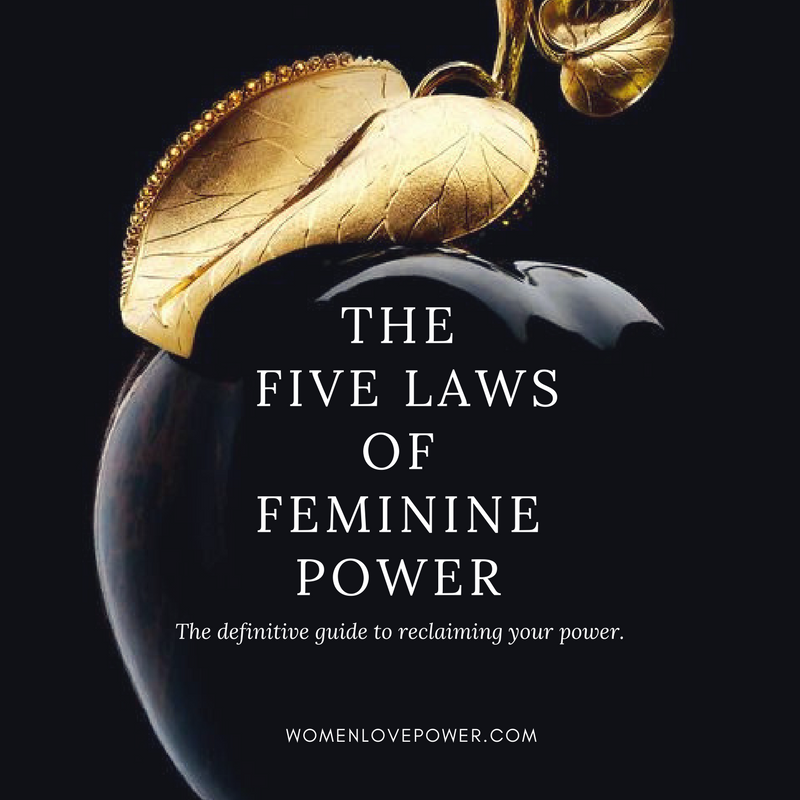 “Maiden” women who remain in their “child phase”, may find themselves in a string of relationships with emotionally unavailable, dark and even abusive men. With the maiden as her dominant archetype, the gamine may be excessively compliant, sexually inhibited or feel stuck in a Peter-pan like existence—an extended adolescence. These women are also prone to persistent bouts of depression. Both Janet Jackson and Audrey Hepburn privately battled depression. Typically, physical or psychological loss will force the maiden woman to face herself and fully mature. 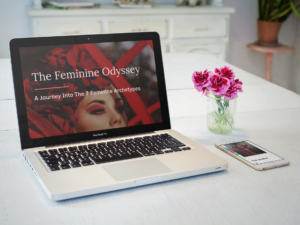 A mature maiden takes control of her destiny, commits to goals, and creates a solid identity for herself, rather than relying on the approval of others. Once this change occurs, the maiden can harness the full potential of her dominant archetype. Mature maidens can be incredibly creative, sensual, spiritual and wise, all the while maintaining their captivating youthful intrigue. Josephine Baker enchanted Paris with her uninhibited dancing, playful charm and cosmopolitan sophistication. Even as a Black woman who grew up in the times of “Jim Crow”, Baker was secure enough in her identity to turn cultural stereotypes on their head. She performed the wild “La Dance Savage” practically mocking Parisians and their preoccupations with African exoticism. Audrey Hepburn’s exciting mix of sophistication and girlishness made her an enduring style icon just as Janet Jackson’s whispery voice, infectious smile, and candid artistry have made her a pop icon for the ages. When the dominant maiden archetype is developed, and your lover archetype is active, you display an unselfconscious sensuality and lightness that enthralls. Your receptive spirit, compassion, sensuality and depth separate you from the rest. 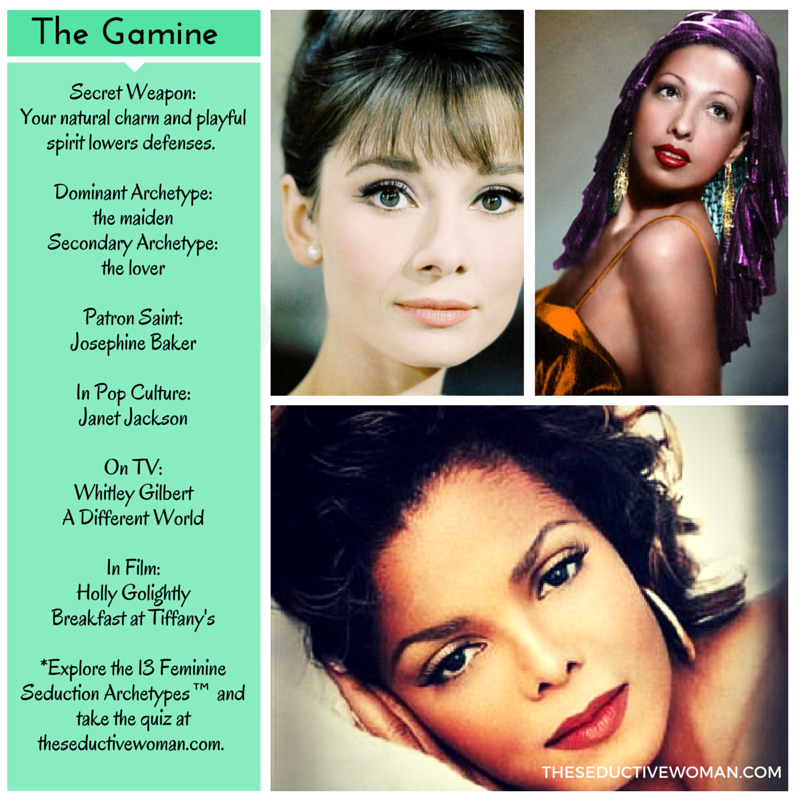 Explore the Gamine archetype on Pinterest! Thank you for this! I love how much research was put into this and how in-depth the information is. I didn’t realize it but that describes me perfectly especially with the eventually having to mature and grow up part.